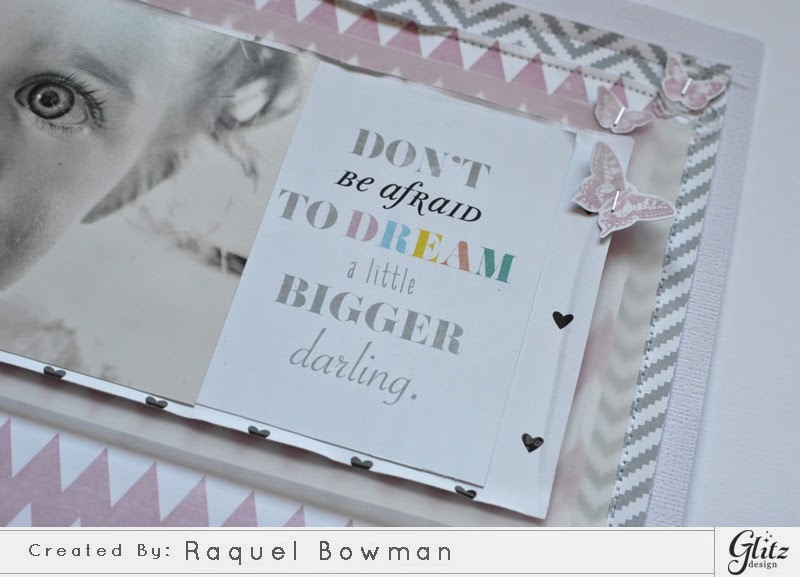 I was on the Glitz Design blog yesterday with my first share. The post is focusing on where Glitz Design embellishments take centre stage! 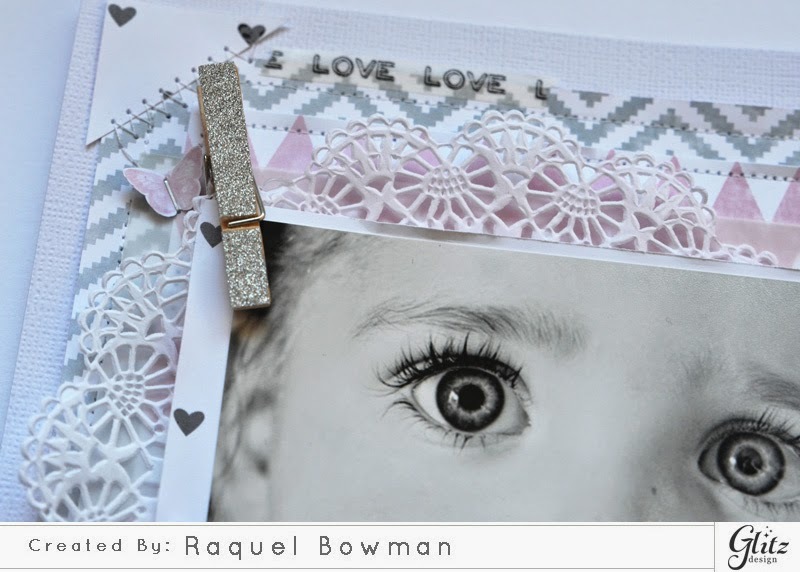 For this post I shared a couple of DIY tips where you could use your Glitz supplies to make some extra embellishments to compliment your pages. 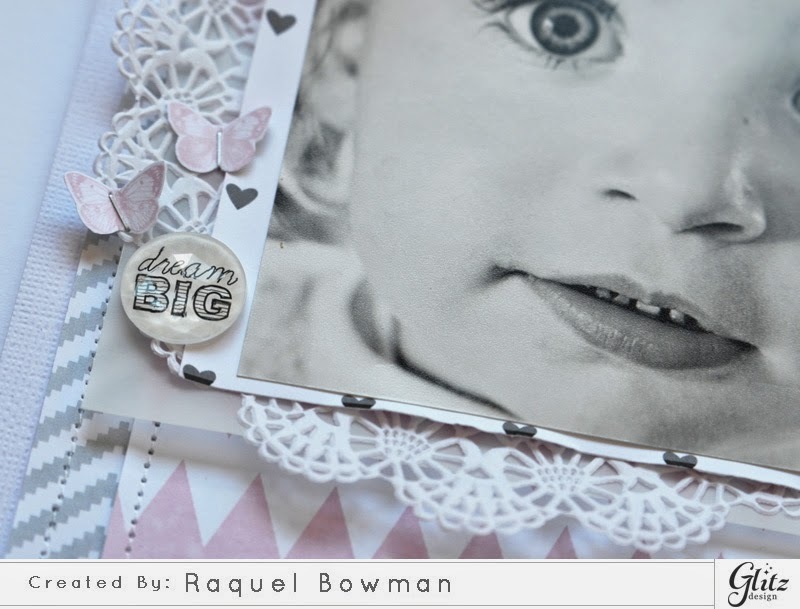 Other: white cardstock, plain vellum, doily, craft peg, sewing machine and white thread, tiny attacher and staples.